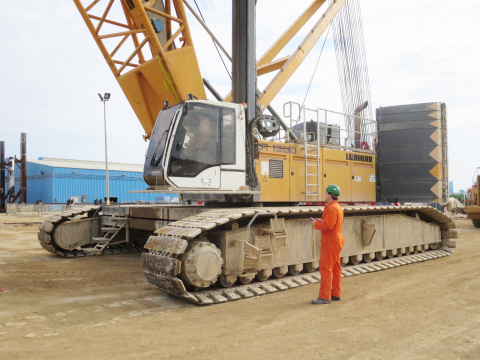 Troostwijk Auctions organizes, in close cooperation with its partner in Angola, the sale of a wide selection of construction and lifting equipment from brands like Liebherr, Caterpillar and Terex. The project runs via two channels. First there will be an online tender sale in July followed by an online auction in September. On the closing day of the online auction, September 13th, a live auction will also be organized in the capital of Angola, Luanda. Closing day: July 19th. Viewing days can be organized upon request. Via this link you will find the advance notice of this auction. Lot descriptions and related details will follow August 16th. Viewing days:September 11th and 12th in Angola. Heerema Porto Amboim (HPA) yard is located in Porto Amboim, Angola and specializes in the construction of subsea logistics. The shipyard, opened in 2010, was able to support large projects with fabrication and logistic activities. Troostwijk Auctions believes that everything has value. The company focuses on finding, recognising and benefitting from this value, often through online auctions but also via tender and treaty sale trajects. The company appraises, provides advice and is Europe’s largest business-to-business auction house with a global reach. Troostwijk Auctions auctions off about 280,000 lots and does appraisals for companies from sectors like: agriculture, food, metal, wood, construction and earth moving. The company has branches in 16 countries and buyers in 127 countries.